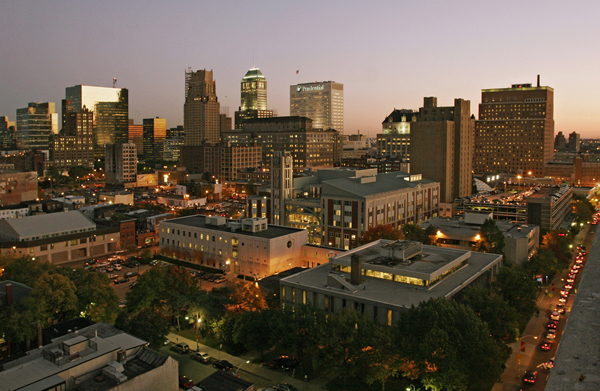 Our school is located in Newark's University Heights, just minutes away from the Riverfront Stadium, home of the Newark Bears professional baseball team; the New Jersey Performing Arts Center (NJPAC); the Prudential Center (the ROCK), home of the New Jersey Devils professional hockey team; Weequahic Golf Course; and Branch Brook Park (home of the annual Cherry Blossom Festival). Manhattan and all of its cultural offerings are only a 15-minute train ride away. University Shuttle Service connects students with the campus of NJIT, Rutgers - Newark, and Essex County Community College as well as transit hub Newark Penn Station. Our 65-acre campus consists of many connecting buildings, making it convenient to travel from classrooms and labs to the library, student housing and the University Hospital. Students live on and around campus or commute from nearby towns. Our on campus Student Housing facility located at 180 W. Market Street offers studio, one, two and three bedroom apartments for students on the Newark Campus.